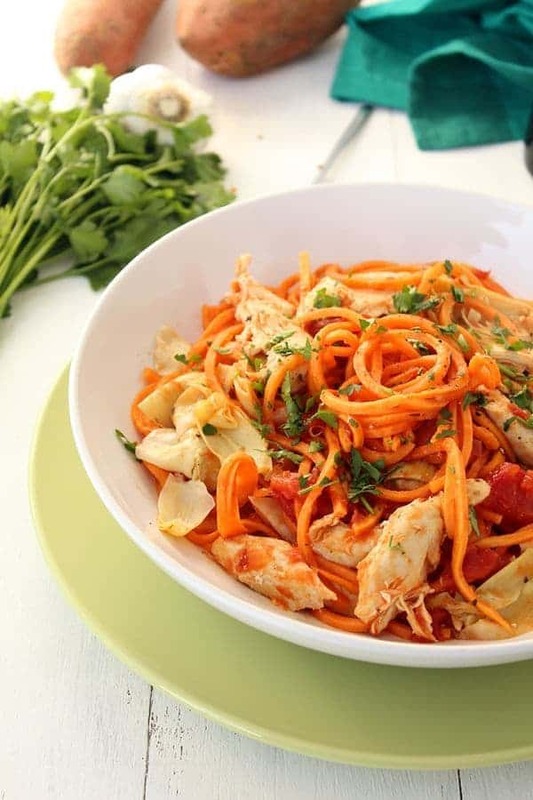 Sweet potato “noodles” are tossed with roasted artichokes and chicken to create this flavorful, guilt-free pasta dish. If you love pasta but also love fitting into your skinny jeans, you are going to love today’s guest post from my friend Ali. Her blog, Inspiralized, is entirely dedicated to healthy and delicious recipes made with a spiralizer. If you aren’t familiar, it’s a handily little gadget that turns vegetables like sweet potatoes, zucchini or even beets into beautiful noodles! It’s that time again: the New Year! Time to make healthy resolutions and start the year off feeling light, fresh and energized. Having said that, it’s often hard to keep those healthy eating or weight loss goals during the wintertime, as temperatures drop and we all crave warm and comforting meals, like pasta and noodle dishes. 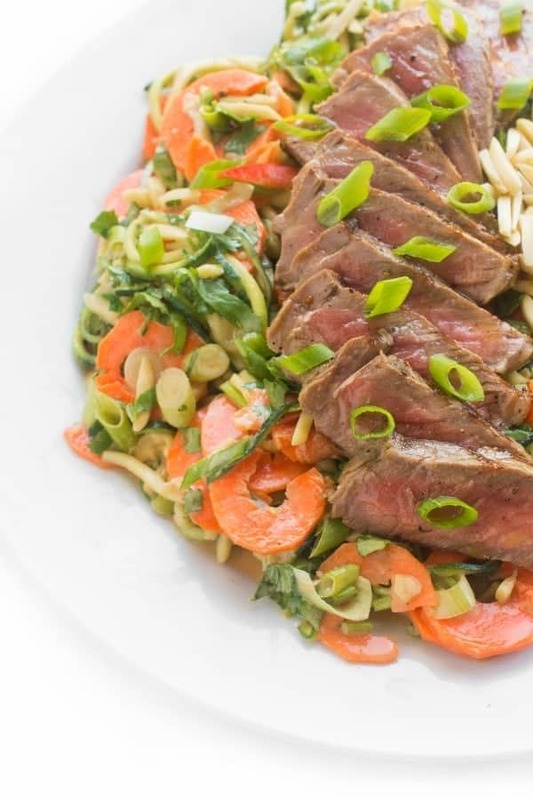 Luckily, vegetables can be made into noodles to replace the carb and calorie heavy wheat noodles – using a spiralizer, julienne or vegetable peeler. 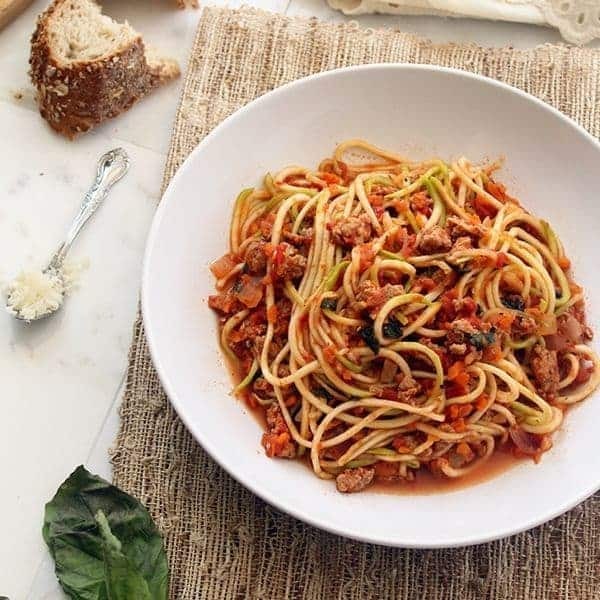 By replacing regular noodles with spiralized veggies, we can still enjoy the same great tastes of pasta, without breaking our New Year’s goals. You may have heard of or even made zucchini noodles before, but zucchinis are not the only vegetables that can be made into noodles. By spiralizing different veggies, we can enjoy seasonal produce, such as carrots, beets, butternut squash, and in this case – sweet potatoes! 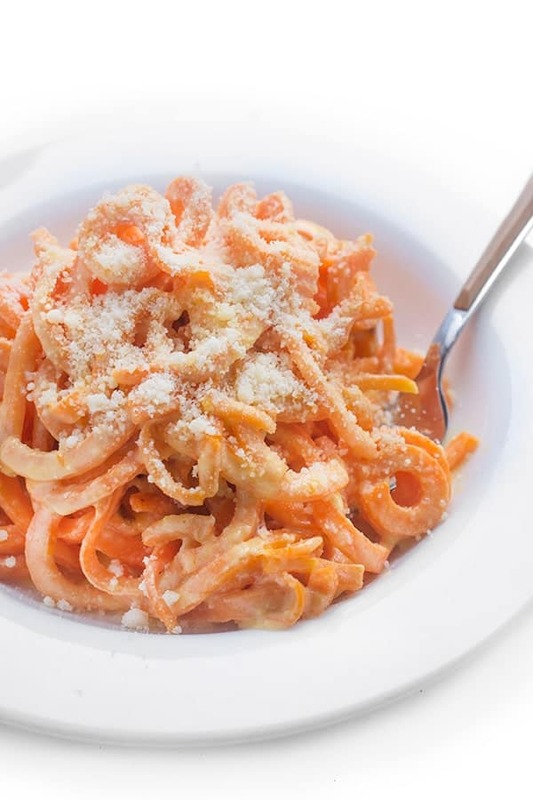 The sweet potatoes in this dish absorb the savory tomato sauce and the artichokes and chicken add protein and hearty nutrients to this sweet potato pasta. Try this recipe to keep focused and on track of your goals – or just to simply continue eating healthily in the New Year! 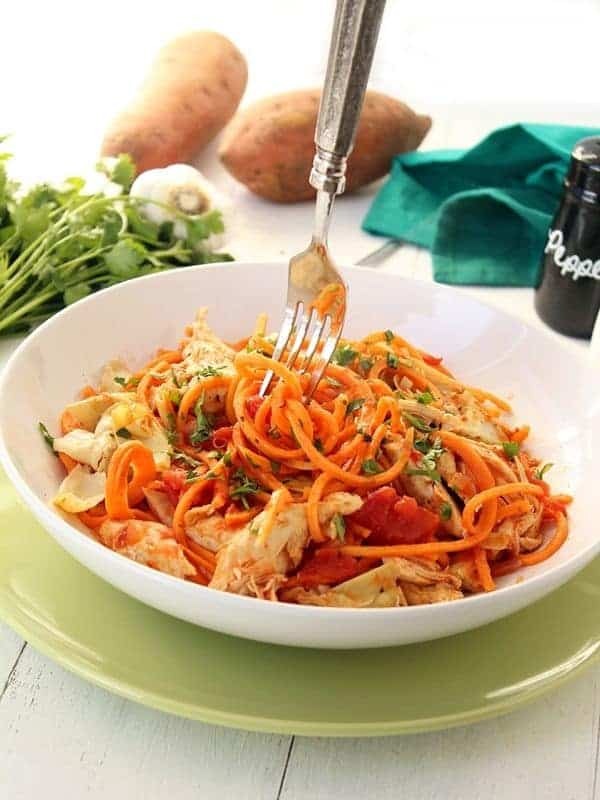 Sweet potato "noodles" are tossed with roasted artichokes and chicken to create this flavorful, guilt-free pasta dish. Preheat the oven to 375 degrees. On a baking tray, lay out the artichoke hearts and drizzle with olive oil. Season with salt and pepper. Bake for 30 minutes. After 10 minutes of roasting the artichokes, place the chicken on a baking tray. Drizzle lightly with olive oil and massage into chicken skin. Season with oregano, salt and pepper. Bake the chicken and artichokes for the remaining 20 minutes. After 15 minutes, cut open the chicken breast. If the inside meat is no longer pink and juices run clear, the chicken is done. If not, cook another 5 minutes. Pull the chicken into strips and set aside, along with the artichokes. After you put the chicken into the oven, place a large skillet over medium-low heat. Add in the tbsp of olive oil. Once the oil heats, add in the garlic and red pepper flakes. Let cook for 30 seconds and then add in the red onion. Cook the onion for 2 minutes and then add in the tomatoes, oregano and season with salt and pepper. Stir to combine and then add in the sweet potato noodles. Toss everything to combine and place a lid on the skillet. Cook for 3 minutes, uncover and toss the noodles and then cook for an additional 3-5 minutes or until the sweet potato noodles have reached your desired doneness. Once the noodles are done, uncover and add in the done artichokes and chicken. Toss to combine and plate onto two bowls. Garnish with parsley and enjoy! This recipe was spectacular! Thank you so much for sharing it. A friend of mine gave me a bag of homemade sweet potato papardelle pasta. I was searching for a recipe that only I (not the picky eater here), my husband, and teenage daughter would all enjoy and came across your recipe. I am so thrilled I did. My husband was skeptical. He was even prepared to make a separate meal for himself, but I persuaded him to at least try the and taste the dish first before doing that. He loved it, my daughter devoured it, and I was content not only eating it but srving it as well. Oh I’m so happy to her you enjoyed it! Liz, I got a spiralizer for Christmas and this recipe was the second hit to come up when I just googled “how to cook sweet potato noodles” ???????????? I love it when that happens! No way!! I love it!!!! 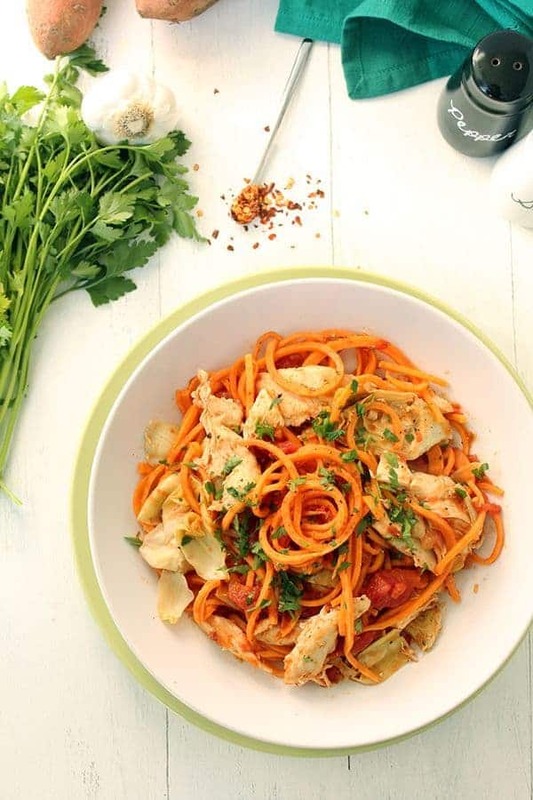 Although the Tomato Sweet Potato Noodles with Roasted Artichokes and Chicken recipe sounds wonderful. I’m concerned about the high sodium content. Since I take meds for High Blood Pressure I try not to use highly salted foods. If I puree a fresh tomato instead of using the canned diced tomatoes and don’t add the salt you added, about how much sodium would the recipe have then? I have the hand held Vegettie which I’ve used for zuchinni. Don’t know if a large sweet potato will fit into it. Anyway, please let me know about the sodium. That would be a huge help! Also look for chicken that is organic and not infused with sodium water! OMG….this is so delicious!!! I made mine a vegetarian dish! Can’t wait to make this again to share with my friends! are the canned artichokes and tomatoes drained, is the liquid used?? I actually asked my husband for a spiralizer for Christmas lol. I guess I’m gonna have to go buy one so I can add this to my list of spiralizer recipes. I need to get one now!! Let me know what you think Kathy! This was so delicious! I swapped in artichoke bottoms. Never thought to roast those before. Thanks for a great recipe. Oh my goodness this looks amazing!! I can’t wait to use my new spiralizer!! I’m so excited for you to try it!!! Ok, now I totally need to buy a spiralizer. These sweet potato noodles look awesome and since I got got back from vacation in Mexico my skinny jeans are feeling not-so-skinny on. Oh I’m so jealous you got to escape to Mexico!! Worth every calorie! This looks incredible! Love all of these wonderful flavors! I adore Ali’s recipes!! She is so creative! Definitely can’t wait to try this recipe! Love the idea of sweet potato noodles! I need to get my hands on a spiralizer! Me too!! I am ordering one this week! A lovely recipe. Thanks Liz and have a Happy Wednesday. LOVE Ali’s site. I need to get my hands on a spiralizer and make this asap. Great guest post! You and me both friend.. I can’t believe I’ve waited so long! I need to get one of those spirals. I didn’t know you could do a sweet potato too! What a great idea! Love the recipe! Same here Jennifer! Let me know if you try it! SPIRALIZING SWEET POTATOES?! GENIUS! I need to make this for dinner yesterday! Girl, these is seriously me on a plate. I am gonna have to head out to Alis blog. haha Isn’t it amazing?? I am ordering one this week! Sweet potato noodles…genius! Great recipe! I’ll be honest, I’ve never heard of a spiralizer! This is awesome! Yay! I love Ali’s site!! So much veggie inspiration over there and this dish is no exception…sweet potato noodles are seriously a must in my life. I love all these healthy recipies! I have never made vegetables into noodles before. What a great idea! I keep hearing about this genius little spiralizer! I need to get my hands on one! It sounds so perfect for my pasta loving self! 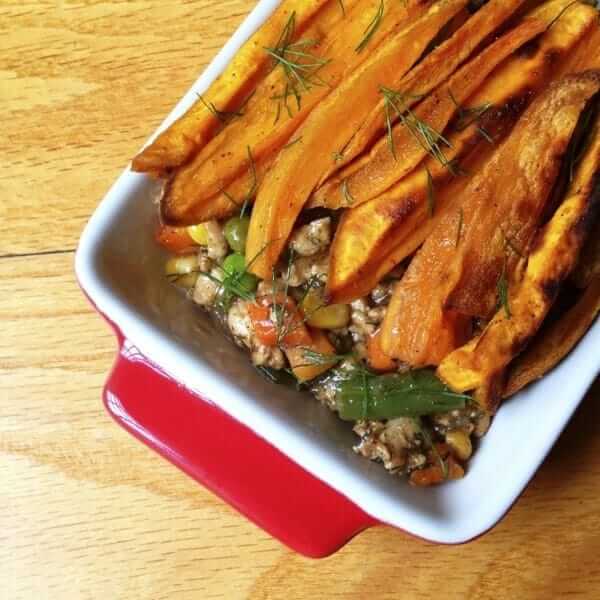 And sweet potatoes are my favorite..this dish sounds fantastic! Omg I know!! I need to get one asap myself!! 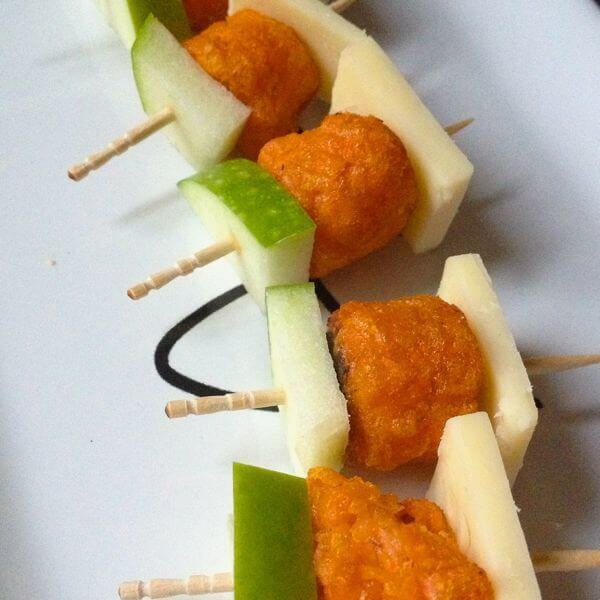 Love Ali’s recipes — they’re so delicious and creative and this one is no exception! Craving a big bowlful right now (and I just ate breakfast ;)). I completely agree Stephanie! She is so talented! Wow! What a great idea! This sounds delicious. I love the artichokes in it. Me too!! I am a huge artichoke fan! Great recipe – so glad to be featured today! Thank you so much for guest posting Ali!! That looks absolutely perfect as a post run dinner! I am giving this a try ASAP! I love everything in this. Will make a wonderful change to my many pasta dinners I use to fuel my training. This will make me even stronger….and even faster…thank you! Oh I hope you like this Tina! Let me know!